This beautiful home is privately situated, and immaculately presented. 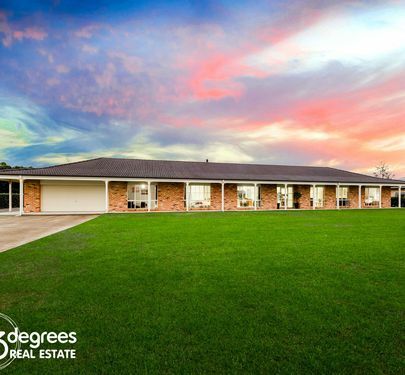 With an easy drive to Riverside Oaks PGA Golf Course. 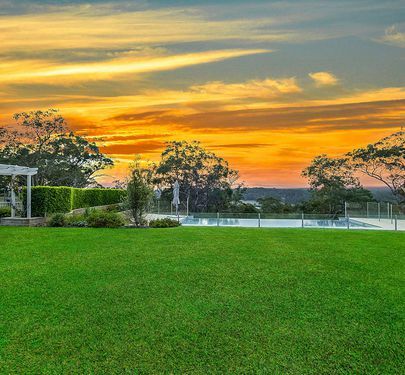 It offers an amazing complete lifestyle, and is settled on 23 acres, with boat access to the Hawkesbury River. *5 Bedrooms, including guest suite. *Stunning, state of the art kitchen, with European appliances, gas cooking. *Double lock up garage (Auto door) plus separate, huge 3 Bay, high top garage. *Zoned R/C Air conditioning, plus enclosed slow combustion fireplace. *Stunning infinity edge pool (12x6),gazebo and outdoor entertaining area. *Landscaped, commercially irrigated gardens and lawns. *Huge water storage plus bore storage for external use. **Fully irrigated raised beds vegetable garden. This is some of the amazing infrastructure on this outstanding property. Take the opportunity to view this property by appointment, at your convenience. 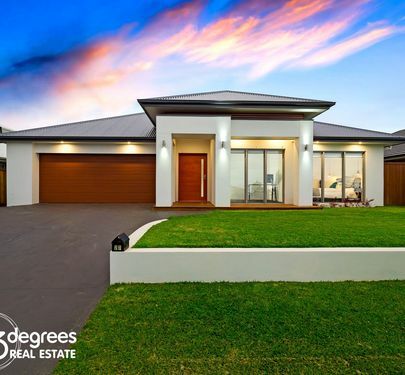 Large is an understatement when describing this expansive home which stretches across the 4674m2 level block, all 4 bedrooms are sizeable with built- ins throughout and walk in robe and ensuite off main. Call Saskia Timmerman 0419 998 955. An effortless combination of style and quality delivers a great family lifestyle in this deluxe residence, ideally positioned in convenient estate location. It has been designed to provide a relaxed haven for family and features a flowing contemporary layout, with excellent natural light, privacy and a focus on indoor/outdoor entertaining. *Light filled interior features both formal and casual living spaces with large rumpus. *Master retreat has luxury ensuite and walk in robe. *Entertainers kitchen has stone benchtops and quality fixtures andfittings. *Sheltered outdoor area includes dining area ,fans and easy access to the pool. *Separate shed near pool with power and extra toilet. it offers size, good proportions, spacious layout and location. 34 squares of well designed, open plan living with separate living areas, including dedicated media room, study/ home office or 5th bedroom, (it has built ins) designer kitchen, with mood enhancing under bench lighting ,dining-family living room, opening onto relaxed outdoor sitting area, separate rumpus leading to covered entertaining with built in outdoor kitchen, and stunningly landscaped gardens., with large lawn area for the kids and dog. The extra height in the ceilings, adds granduer overall . Master bedroom features walk in robe, plantation shutters and spacious ensuite. Brimming with contemporary style is this sun-drenched single level family residence that has been carefully designed with entertaining in mind. Offering a seamless open plan layout featuring large stacker doors flowing to the beautiful alfresco area, you will be impressed with the functionality at hand! With quality high end fixtures & finishes throughout this home is only 2 1/2 years young. 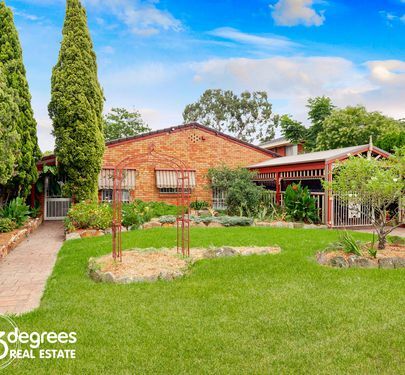 Conveniently positioned within walking distance to local schools shops & parks this property is only a short drive from the Hawkesbury river. Homes of this size, location and features are always highly sought after. Holding a commanding position overlooking the low lands, high above Pitt Town Bottoms with breathtaking panoramic views to the Blue Mountains, this property represents a rare offering and is the idealic spot to invest in, renovate the existing residence or build your dream home. Only a short walk to the Hawkesbury River, situated on a 834.7m2(approx) parcel (well over the 1 in 100 flood level), the existing residence offers 3-4 bedrooms, large living areas, renovated bathroom, 2nd W/C, timber kitchen, and much more. This truly is a once in a lifetime opportunity to secure one of Pitt Town's most tightly held and elusive locations. 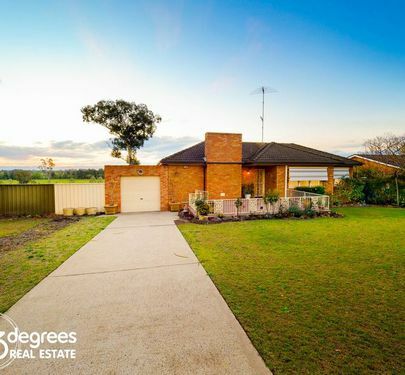 Perfectly positioned on a huge 815.7sqm (approx.) block you will find this warm and welcoming home. 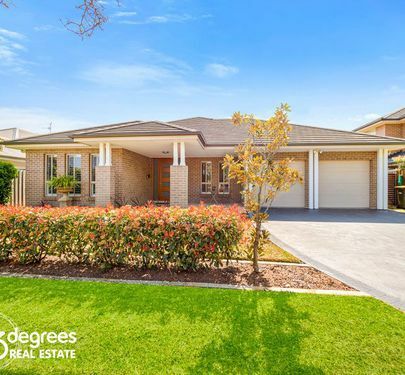 This single level home is in close proximity to the local school, shops parks and transport. 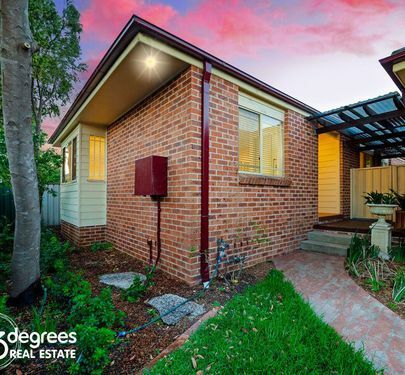 Situated in a highly-sought after location, this modern, renovated three-bedroom freestanding townhouse is the perfect home for downsizers, growing families or investors. Positioned with maximum privacy in mind at the rear of a boutique complex of only 3, in a tranquil setting, this sun-drenched townhouse features open-plan living that flows out to the spacious outdoor entertaining area and north facing yard, making it the perfect home for entertaining family and friends. 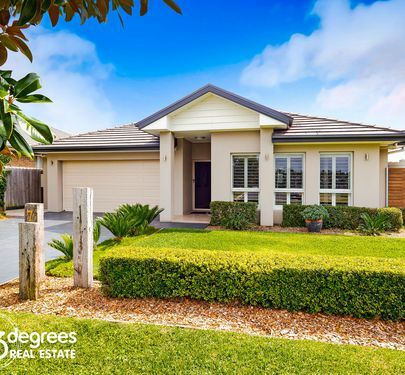 Within walking distance to the local school, shops, cafes, and parks this home will tick all the boxes! Tucked away in a small complex, this impressive 4 bedroom townhouse has to be at the top of your list this weekend. 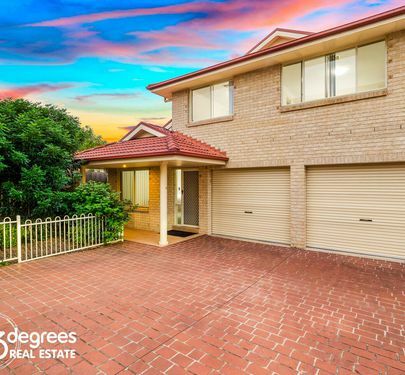 Ideally located at the rear of the complex offering a quiet location this fantastic townhouse is perfect for either the investor or first home buyer looking to break into the market. The home has it all with huge indoor living spaces and outdoor alfresco living, large modern kitchen plus downstairs powder room and internal access from the oversized double garage . The spacious bedrooms are well serviced with built- ins and includes an ensuite off the main bedroom. With ducted reverse cycle air conditioning and immaculate presentation throughout, this is the one you've been waiting for.